When placing an order you will have the opportunity to upload, check and proof your artwork online before making payment. once you place your order it automatically gets sent straight into print production so you should only upload files if you are sure they are print ready. how should you supply your artwork ? 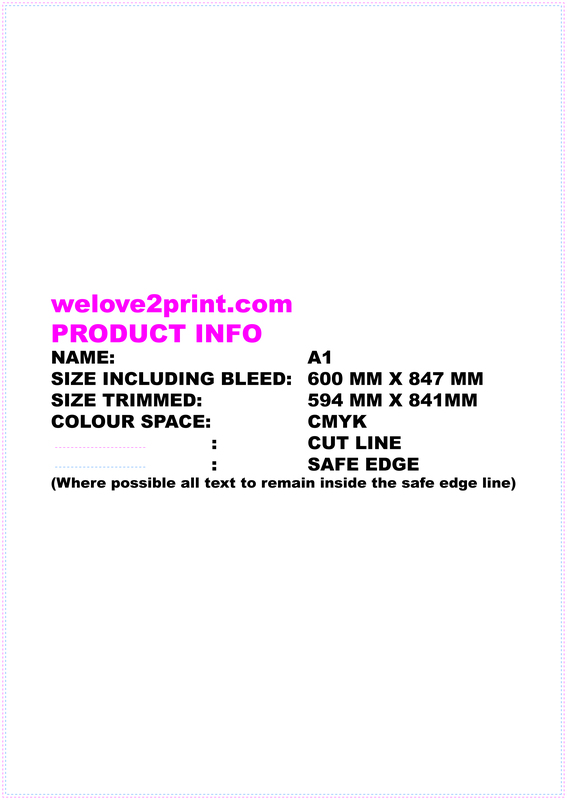 IMPORTANT - The online prices are for "print ready" supplied artwork only. If our graphic design studio have to amend the file (e.g. resize, adjust colour or make changes), there may be an additional charge, but don't worry, we will always tell you first. To be certain your artwork is "print ready" use the check list below to ensure it meets the following requirements. 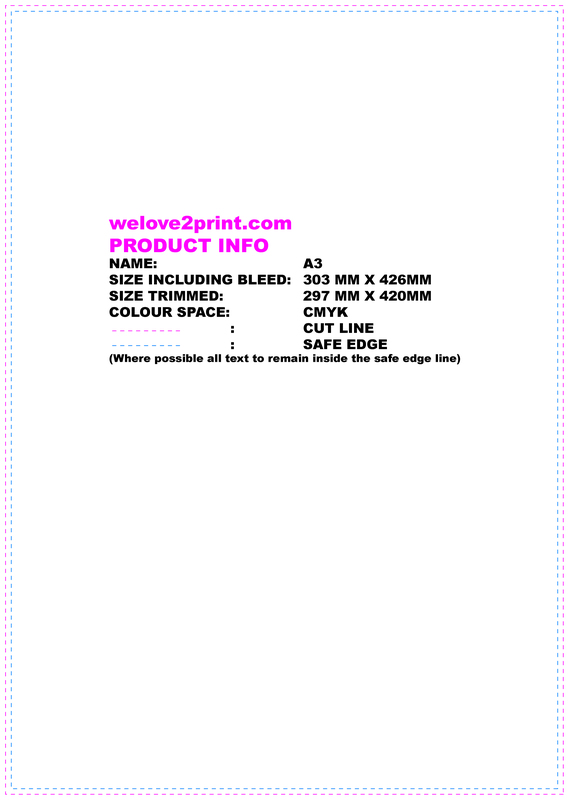 FILE FORMAT - We accept artwork as "print ready" only if it is in PDF, JPEG. RESOLUTION - To ensure your files print clearly all artwork including images must be supplied at a resolution of at least 300dpi. 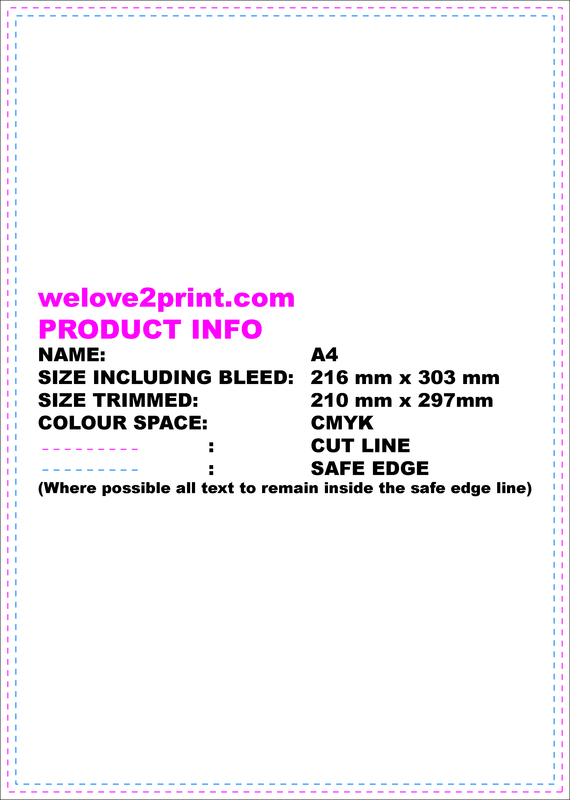 Anything lower than this may result in blurry, bitmapped or pixelated print.Note: images used from the web are generally 72dpi and although they look fine on screen they may not be suitable for full colour printing. COLOURS - CMYK (Cyan, Magenta, Yellow and Black) is an industry standard formula designed to give the most precise colour reproductions. Artwork received using Pantone, Spot or RGB (commonly Web colours) will be converted into CMYK format, this may cause some colours to change. FONTS - Due to the vast number of different fonts, all fonts used must be outilined before sending us the final artwork. Failure to do this could result in an alternative style being used automatically. 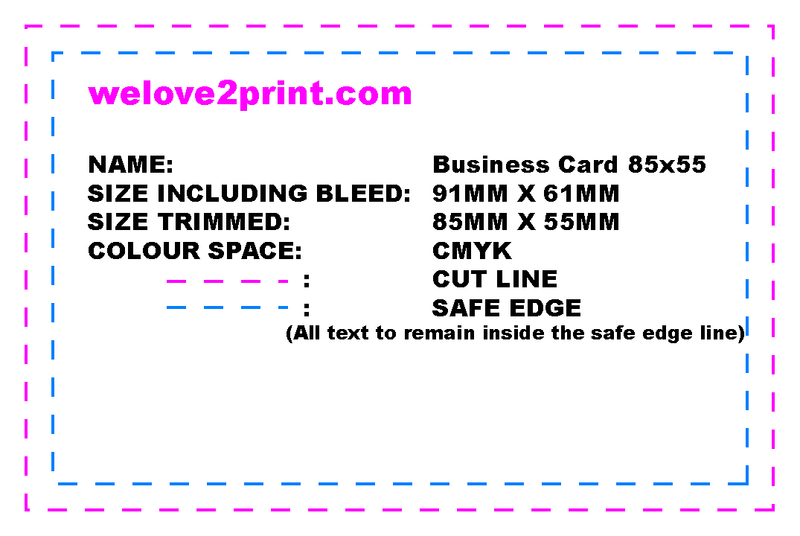 BLEED - Minimum bleed requirements are 3mm all round. 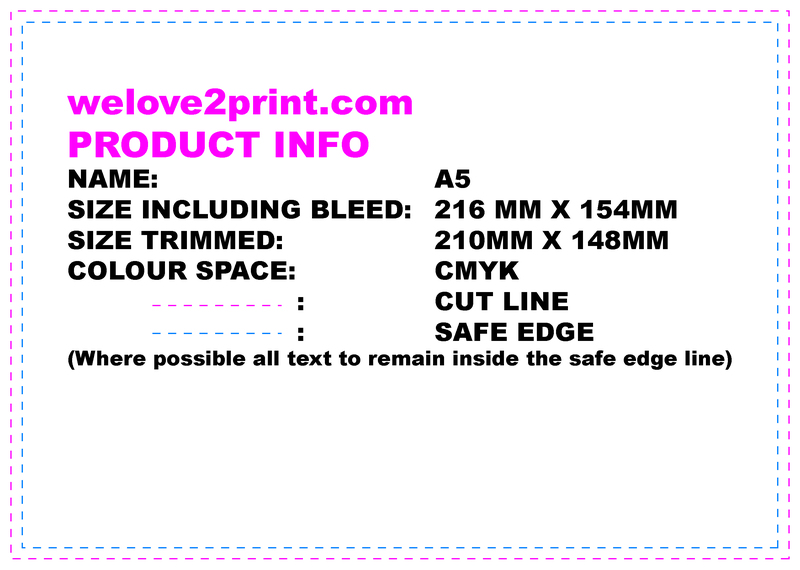 TEXT - All text must be a safe distance from the edge, a minimum of 5mm is recommended.